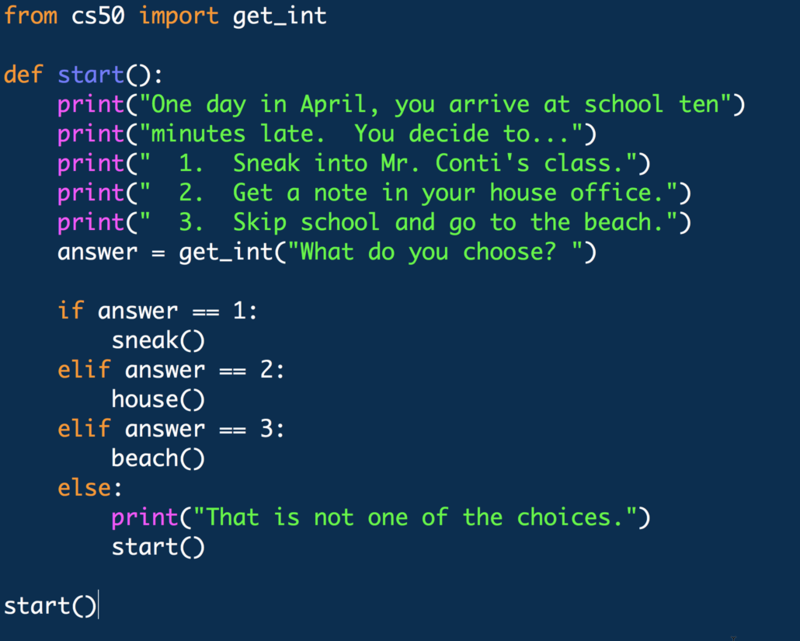 Your job is to make a “Choose your own adventure” story, using Python and functions. Start by planning out your story with Pages or Google Docs. Each ‘node’ of your story should have choices for the user, unless it an ending to the story. The story should be inside boxes, with choices as arrows. Each box or ‘page’ will be a function in your program. If you are going to use a global variable or two, indicate on the diagram how you will use them! Some examples of global variables you could use are objects (like “key” or “water”), hunger (you could use a number), hit_points, or a piece of knowledge (password). Something else? 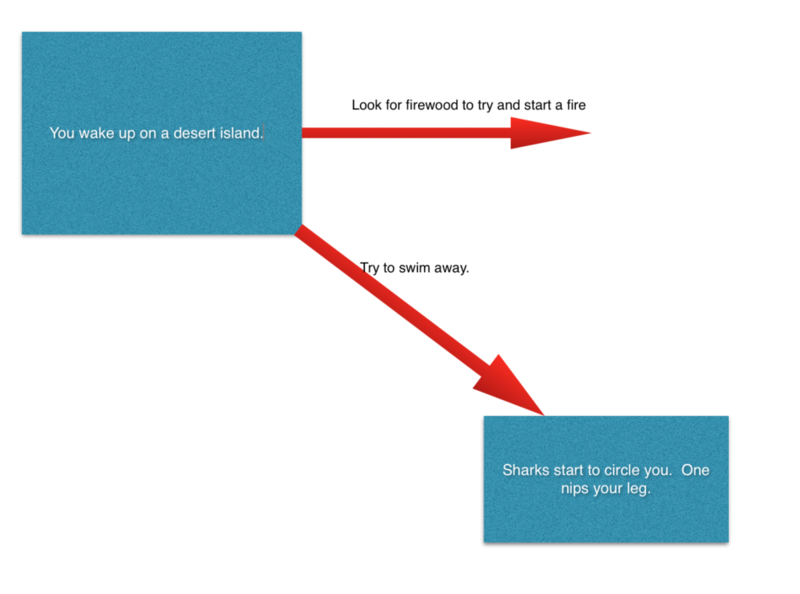 Have the user solve a puzzle by exploring your story. You can be super creative if you focus on designing the story first, then on writing code to implement your vision! Save your final story as story.py. If you make more than one version, save them as story1.py, story2.py, etc. Follow these instructions to make your story program. You’re going to make an adventure story, but first just make the beginning. Make a single function, start( ), that begins your story. Here is the start() function from my story. What happens if the user types “7”? Then run the program. Every time you add a new function, run the program. Of course, when you run this program, it will crash. But it will crash only when it reaches a function we haven’t written yet. Next write one more function. 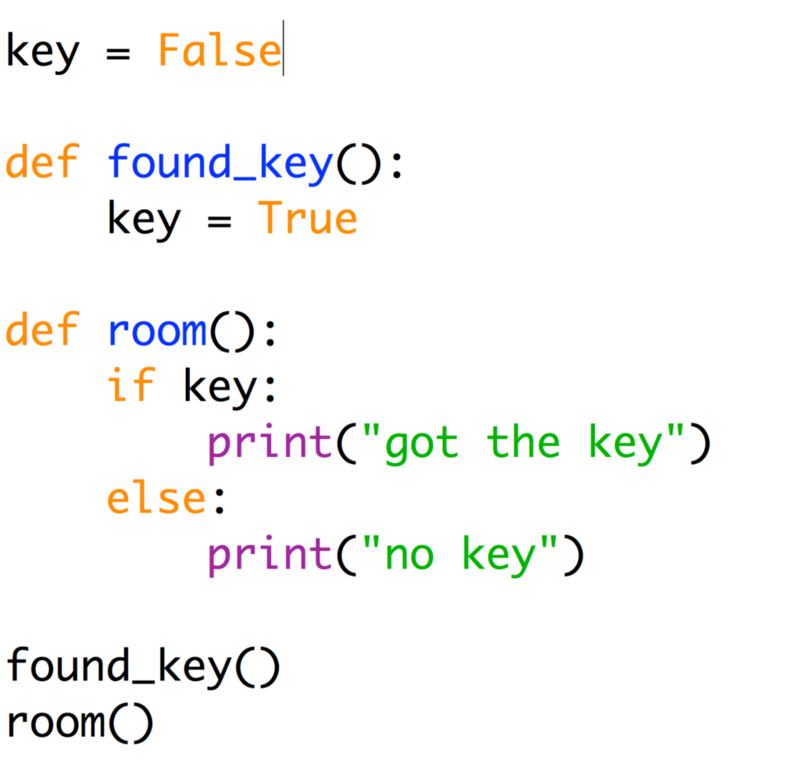 I’d write sneak(). Then I’d run it again. You can see how useful the story map is now. Once you get the hang of it, you’ll have a great story before you know it. Now the key variable in found_key( ) is the same one used elsewhere. If you have a lot of player data in your story, try using a dictionary to keep in all in one place.